We provide shareholder value through our dividend program. In January, raised the dividend by 6.8% to a new annual rate of $2.36 per share. 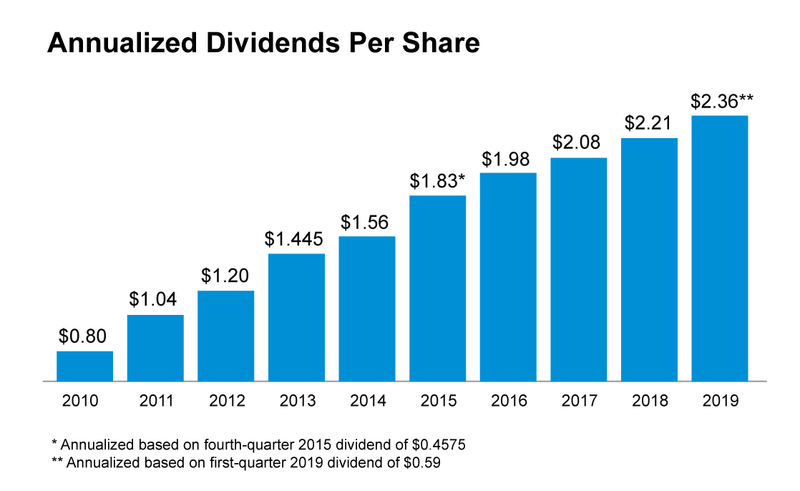 Continuing to target dividend payout of 65-70 percent of earnings. Projecting dividend grow in line with earnings growth. Dividend reinvestment is available and offered through our stock purchase plan. * Dividend amounts reflect all historical stock splits including our most recent 2-for-1 stock split on March 1, 2011. See Stock split history for a complete record of our historical stock splits.